Give your bedroom a coastal update with the Doing Something Comforter - King. 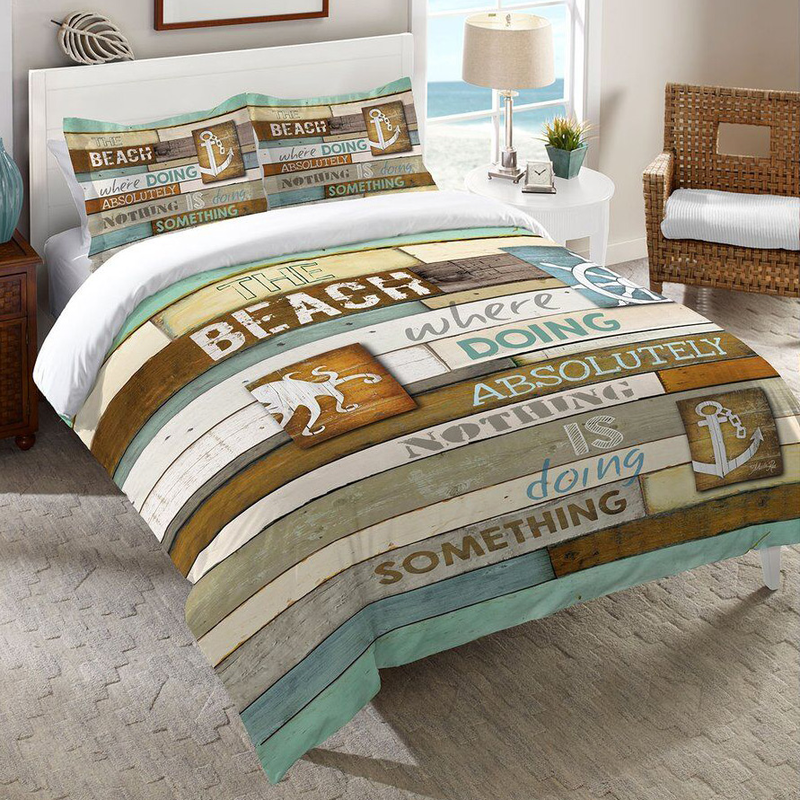 These beach comforters are crafted with a clever saying with the look of wood planks and beach icons. Makes a beautiful accent. Ships from the manufacturer. Allow 1 to 2 weeks. Cannot express ship. For more pieces, we invite you to take some time to review our extensive array of beach comforters at Bella Coastal Decor now.